Yogyakarta (or 'Jogja' as it is commonly known) is one of the foremost cultural centers of Java. 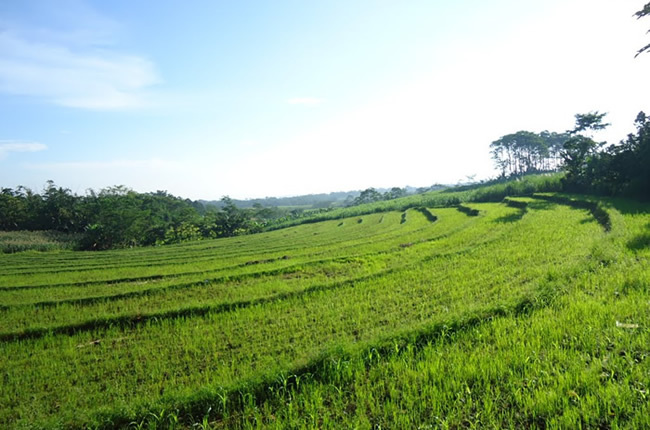 The province is one of the most densely populated areas of Indonesia, stretching from Mount Merapi to the Indian Ocean. While Yogyakarta is commonly considered as the modern cultural centre of Central Java, it is also a very lively city, and a shopper's delight. The main road, Malioboro Street, is always crowded and famous for its night street food-culture and street vendors. Many tourist shops and cheap hotels are concentrated along this street, or in the adjoining tourist area such Sosrowijayan Street. Situated about 15 kilometers from Yogyakarta, the top of the main shrine of Prambanan is visible from a great distance, and rises high above the scattered ruins of the former temples. This is the most famous, and also the most magnificent of Central Java's temples, or more precisely, complex of temples. 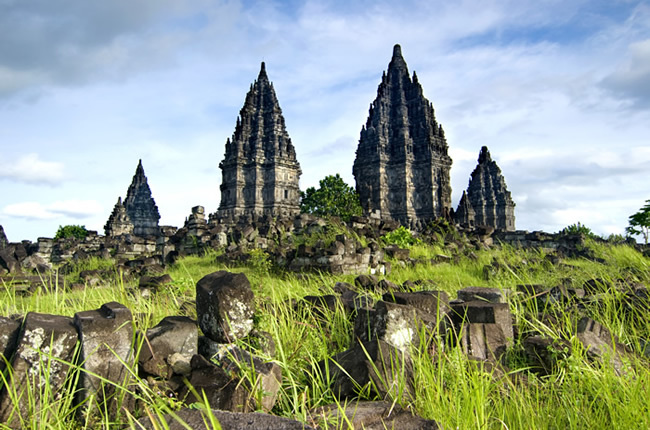 Prambanan is a masterpiece of Hindu culture of the tenth century, the slim building soaring up to 47 metres, making its beautiful architecture incomparable. King Balitung Maha Sambu built the Prambanan temple in the middle of the ninth century, its parapets adorned with bas-reliefs depicting the famous Ramayana story. The UNESCO listed Borobudur Buddhist sanctuary, more than a thousand years old, is recognized as one of the greatest stupa of its kind in the world, and today is the centre of tourist attractions in Central Java. The name "Borobudur" is believed to have derived from the Sanskrit words, Vihara Buddha Uhr, meaning "the Buddhist Monastery on the hill". 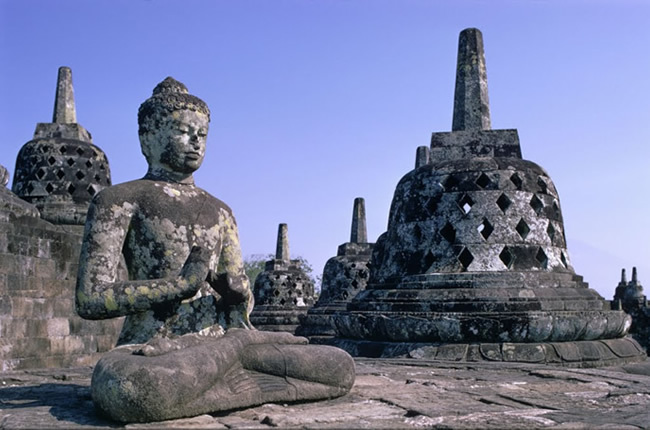 Borobudur temple is located in Muntilan, Magelang and is about 42 kilometers from Yogyakarta city. It is the greatest existing Buddhist work of art in the world. Borobudur's architects and sculptors designed it to serve the purpose of veneration, worship and meditation, though Borobudur is not a temple as such. The walls of the Borobudur are sculptured in bas-reliefs, extending over a total length of 6 kilometres. It has been hailed as the largest and most complete ensemble of Buddhist reliefs in the world, unsurpassed in artistic merit, each scene an individual masterpiece. Built around the turn of the 9th century A.D. It is said that if you put your arm through one of the bell-shaped stupa and can touch the stone within, you will have your wish come true. A real must on your itinerary.